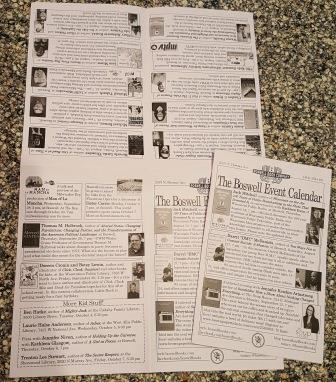 Boswell and Books: The new orchid event calendar is here. Several events were added to August and there were two changes--Jack Mitchell and Kathleen Dunn are at Boswell on Thursday, August 18, 7 pm. The new orchid event calendar is here. Several events were added to August and there were two changes--Jack Mitchell and Kathleen Dunn are at Boswell on Thursday, August 18, 7 pm. What do the powers that be have against pastel orange? The peach shade used to be one of the colors we could order from Clark Grahics for printing, but several years ago it was discontinued. I'm sort of bummed because it was one of our original three colors for our staff rec shelf talkers, and thus has a special place in my heart. As a second choice, we went with orchid for our brand new August-September event calendar. These printed event listings are quite popular; we usually give away about 1000 a month, and that number goes up in spring and fall, when our event schedule increases. I'm always anxious to start giving them out, so I asked Clark to call us when the calendars were printed, but not folded, and I went down to pick up some for us to fold ourselves. Two events featured on the front cover had changes since they were in the July calendar. 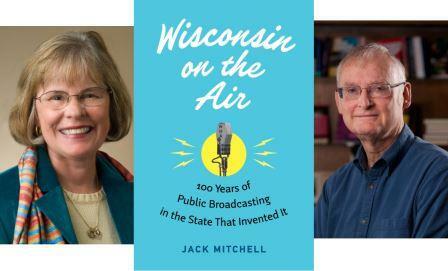 The date for Jack Mitchell's Wisconsin on the Air, in conversation with Kathleen Dunn, cosponsored by Wisconsin Public Radio, is now Thursday, August 18, 7 p;m. It was originally scheduled for another day but that day didn't work. We changed about 800 calendars by hand but there were a few early ones that got through. Several other August events did not make the solar yellow flier, including Beverly Little Thunder, Wayne Pacelle, Charles J. Sykes, Michail Takach, and Run-D.M.C. If you like a printed calendar, that's your cue to come in and pick up the orchid calendar. My suspicion is that this will not happen for September because we were already much more heavily booked up. 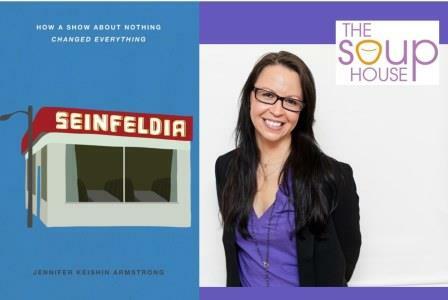 The other change from the solar yellow calendar is our event with Jennifer Keishin Armstrong for Seinfeldia. We kept the day but changed format and location. Still on Monday, September 12, still at 7 pm, but now ticketed at The Soup House. Each admission comes with a bowl of soup. Advance tickets are $5 ($6.17 with fee), at Brown Paper Tickets. We may have $6 at-the-door tickets available the night of the event, but it will depend on how many folks pre-register. I'm a huge fan of The Soup House! It should be noted that I have been eating the Friday chicken tika masala soup as I wrote this post!